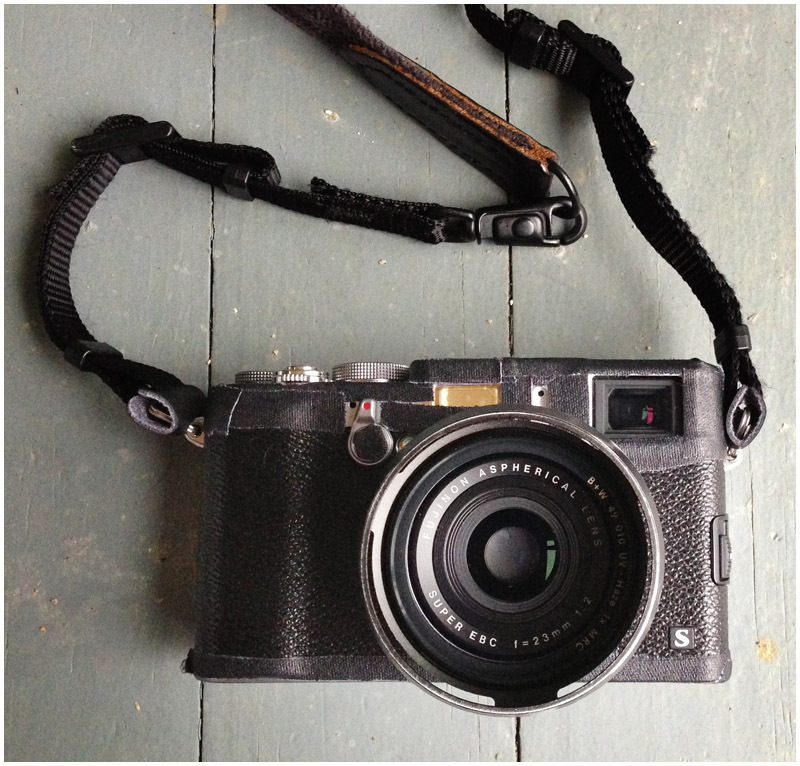 I've been craving the Fuji-x100 since it came out. The combination of the rangefinder aesthetic and sharp, fixed 35mm equivalent lens have me thinking constantly of how many situations I'd be able to use one in where toting the 5DmkII might be overkill, and the iPhone5 would be underkill. Luckily enough I've waited long enough that the successor to Fuji's upstart digital rangefinder, the x100s is now available and is going to be my Christmas present this year! 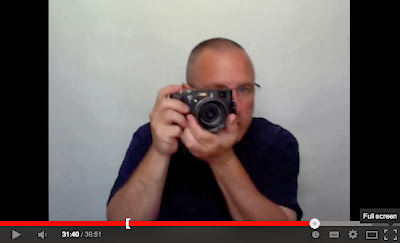 David Hobby's x100s in it's Lo-Fi travel duct-tape camouflage. 1. Canon 5DmkII for assignments and clients and weddings etc. 2. Fuji x100s for holidays, short trips and places where too much gear is a burden. 3. iPhone5 for everything else. And if you wanted more, a search on Flickr shows plenty of examples by others. I think my biggest stumbling block is going to be the x100s' excellent in-camera processing and jpeg output. This may mean not shooting RAW files as the increase in shooting speed and flexibility afforded is pretty impressive. I... *think* I'm going to have trouble committing to this over the xmas break and won't have my computer to compare images on, so maybe RAW+jpeg it will have to be. and so I'm pretty stoked to read that the x100s has a mode for shooting this way too. It should mean higher res and sharper images in this format. The way the lens flares out is great. The built-in ND filter is good. The ergonomics are very nice. The shooting modes and film emulation is fantastic. The leaf-shutter and wide aperture should mean much more interesting looks outdoors in full sunlight. In short, I cannot wait for Christmas Day this year!! I hope your Christmas is filled with family, fun, sun and good cheer!